People grow up hearing that they can make a difference. They learn that their voice is powerful and that one person can change the world. As students get older, it can be harder and harder to keep that little flame of hope burning when it seems like the world is past changing, especially for a seemingly small movement or idea. Cycles seem unbreakable, and progress seems too slow. 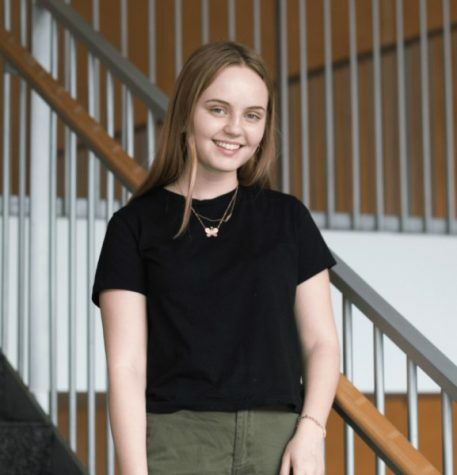 When sophomore Avery Siegel joined her high school’s Girls Learn International Club, she never could have guessed that they would go on to start a nonprofit and produce an Academy Award-nominated documentary, “Period. End of Sentence.,” to raise awareness for and help fund efforts to improve access to menstrual products for women in developing countries. But when Siegel and her club learned about the issues surrounding menstruation for women in developing countries, they decided to do something. “We had the idea to do a documentary as an educational piece on this issue,” Siegel said. 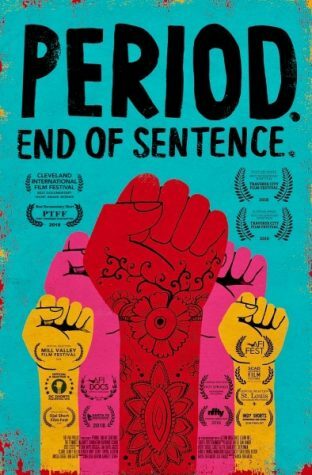 The documentary follows a group of women in Hapur, India, fighting to end the stigma around menstruation and provide access to sanitary products for other women in their area. It also follows the installation of a machine in Hapur that could change everything. That’s where the documentary came in. After launching their Kickstarter campaign in 2016, Siegel and her team, which includes crews set in both India and Los Angeles, finished “Period. End of Sentence.” in September of last year. The Oscar-nominated documentary started within Siegel’s high school club, later becoming a function of the non-profit the club started, The Pad Project. While still unsure if she will be attending the Oscars herself, Siegel said her team is working on getting visas for some of the women featured in the film to go see their hard work pay off as well. It can be hard to believe any one person or group can make a difference. But for Siegel, her club, and the women of Hapur, India, changing the world is no longer a dream, but a reality. “The strongest creature on earth is not the elephant, not the tiger, but the girl,” Murugananthem, the inventor of the machine, said on The Period Project’s website. “Period. End of Sentence.” will be available on Netflix on Feb. 12, following the company’s recent acquisition of the film. Tulane Hillel will also be screening the film on Feb. 19 at 7:30 p.m. THANK YOU and WELL DONE girls!!! HOW brave YOU ARE! AWESOME!!! Way to go fellow Tulanian!!! Incredible documentary ladies! !